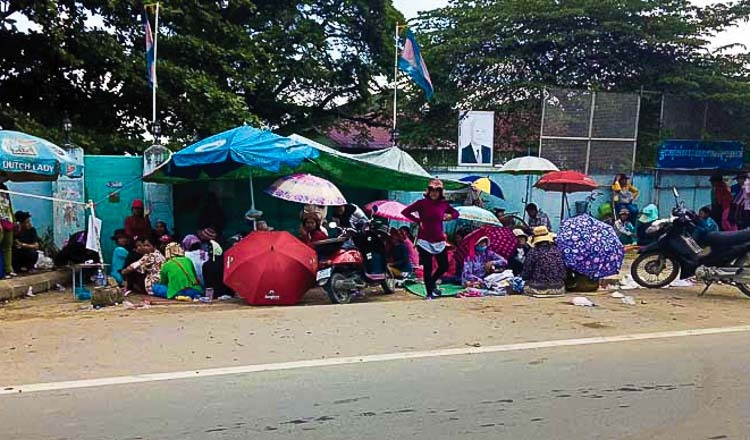 Almost 1,000 workers at a shoe factory in Kampong Cham’s Chherng Prey district on Tuesday came out to protest five times to demand the company to pay their annual leave. 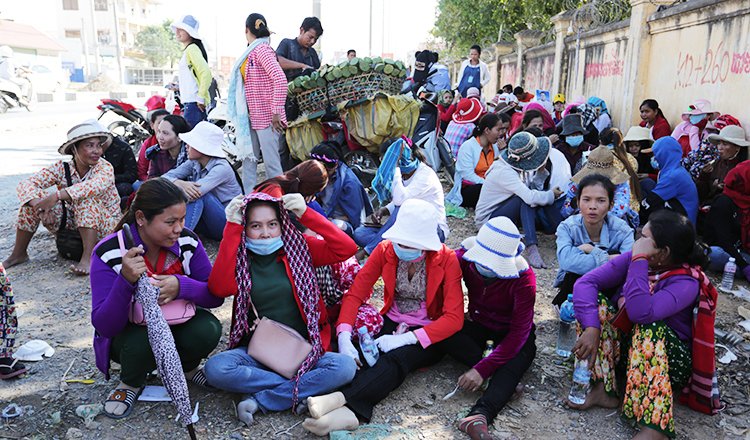 Cheng Heang, the director of Labour Department in Kampong Cham, said that nearly 1,000 employees from the Hwa Long Cambodian Outsole Industry in Chherng Prey district have protested since February 14. He added that the workers demand the company pay their annual leave in cash, but the company has not agreed. Instead, the company has offered them time off for all their annual leave. 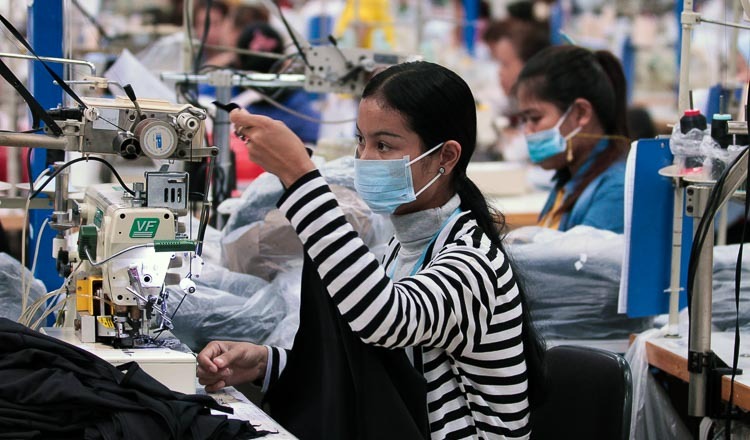 “I think that what the workers demand from the company is a small thing. 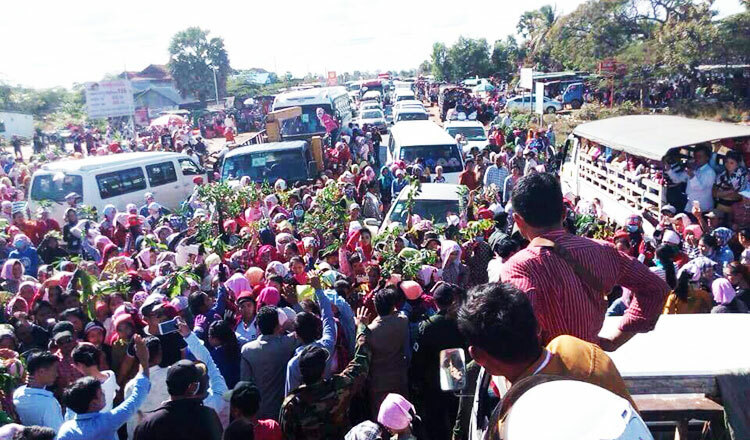 But both sides did not negotiate with each other and the protest has lasted more than five days. It’s a small problem but they made it a big problem” he said. He added that authorities and labour department officials came to negotiate, there are has been no result so far. 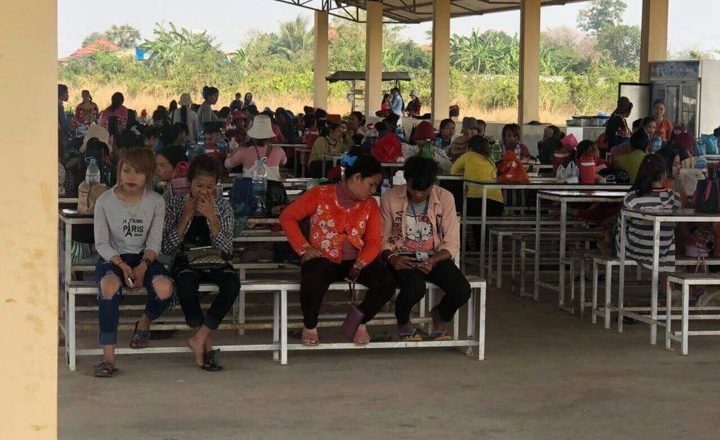 Last week, more than 1,000 workers from the Yu Da Garment, Yu Fa Garment and S.R.E Garment factories in Phnom Penh’s Por Sen Chey district were given some of their wages after some of the company’s machines were sold after the owner fled.